Acura and Honda share a familial bond, but there is nothing wrong with a little family rivalry. 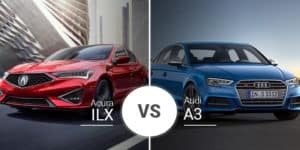 That is exactly what we have when we pit the 2019 Honda Accord against the loaded-to-the-gills 2019 Acura RLX. 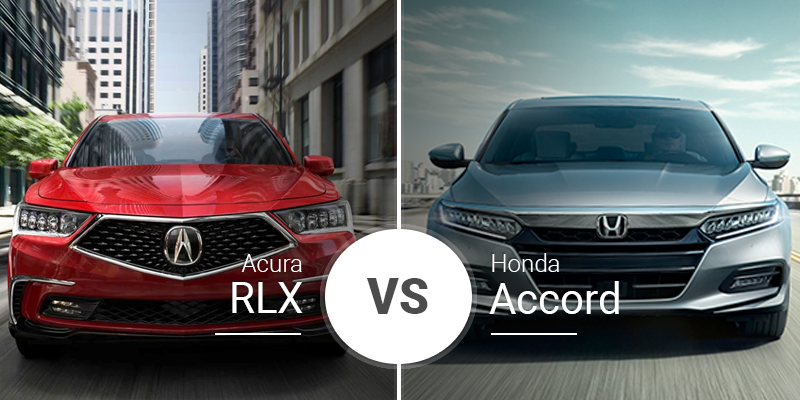 Which one is better for you, our Rochester area car buyers, the value-oriented Accord or the loaded 2019 RLX? Find out below. 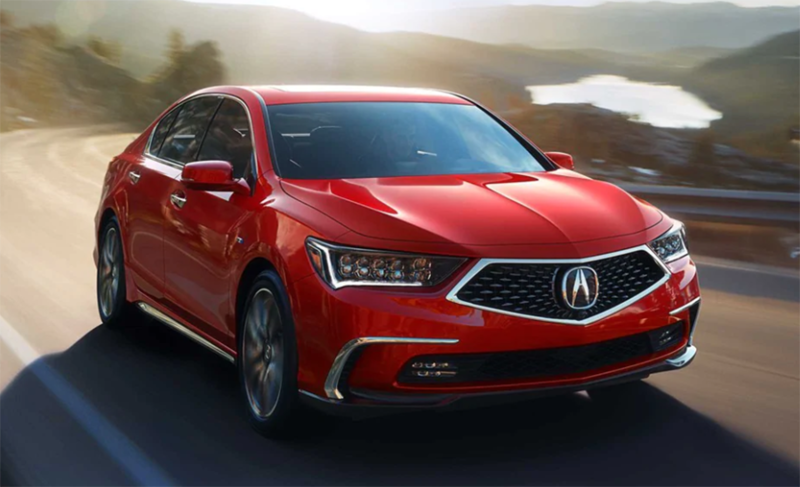 The 2019 Acura RLX is a little on the old side as its last redesign was in 2014, but a light refresh in 2018 that brought in the new diamond pentagon grille and other updates was the youth elixir it needed to keep the buyers coming. This large sedan is the peak of the Acura lineup and makes the best use all the sharp angles and stylish lighting the brand is known for. It is a stunning sight on paper and even more stunning in person. 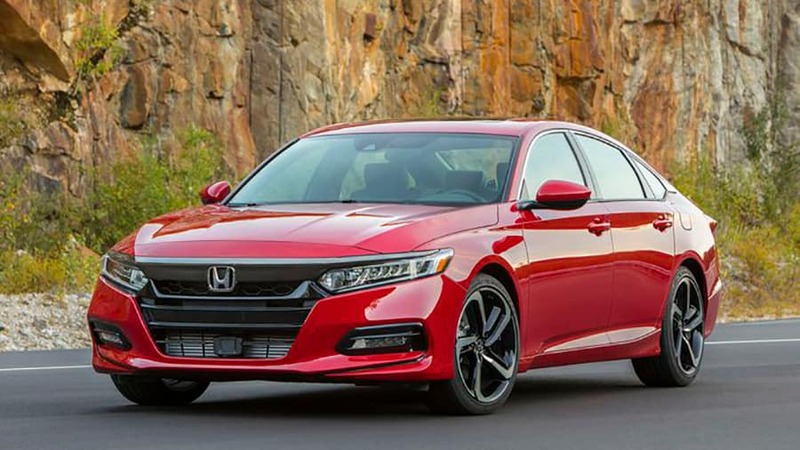 The Honda Accord went through its last redesign in 2018, so it is still plenty modern in 2019. This sedan is classier than its ever been with its flat nose, elongated hood, and coupe-like rear glass. It also dropped a lot of weight, making it significantly lighter than the RLX. While it looks classier than most of its rivals, it isn’t quite up to the task of taking on the RLX’s stunning looks. 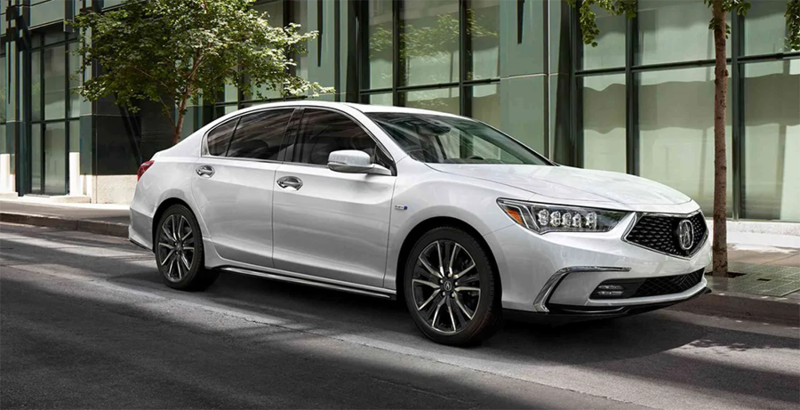 The RLX is a true luxury cruiser, so it is more luxurious than the Accord from its base level, including LED headlights, LED taillights, door handle courtesy lights, 19-inch wheels, and more. The Accord gets close to the RLX in its Touring trim, but never reaches its level with its smaller wheels and less stylish headlights. In terms of size, the 2019 RLX is nearly half a foot longer than the Accord and 1.1 inches wider. Plus, it is nearly 1,000 pounds heavier. Inside, the 2019 Acura RLX is a legit luxury sedan with its dual-screen infotainment system, supple leather seating, wood-grain accents, and much more. The dash also shows a little sportiness to go along with its peppy hybrid powertrain with its slight arcs that make subtle cockpit-like areas up front. The 2019 Honda Accord is far more simple with its more horizontal dash, matte-finish accents, and basic amenities. In its EX-L and Touring trims, you get leather upholstery and a few other bits of upscale materials, but it never reaches the level of the RLX. In terms of standard features, the RLX shows its luxury car status with a long list of goodies that includes leather seats with heat and 12-way power adjustment, a 14-speaker audio system, navigation, tri-zone climate control, and more. The Accord is far simpler, but it still has desirable standard goodies like a 7-inch touchscreen. As you move through the Accord’s trim levels, it gets closer to the RLX but never quite reaches its level of luxury. Despite being larger than the Accord, the RLX struggles a bit in interior space relative to its Honda cousin. The Accord has tons more headroom, rear legroom, and luggage room. The latter is particularly true in the Sport Hybrid model, as the battery pack eats up a lot of room. 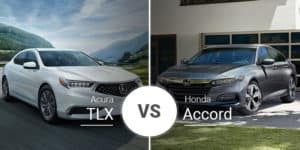 The 2019 Acura RLX and 2019 Honda Accord have multiple powertrains, including hybrid variants. The 2019 RLX comes standard with a 310-horsepower V-6 that delivers ample power and acceleration. The RLX Sport Hybrid isn’t your Aunt Gail’s hybrid. This beast pumps out 377 horsepower via an NSX-sourced three-motor hybrid system and 3.5-liter V-6 that sprints it to 60 mph in just 4.9 seconds. The Honda Accord has three four-cylinder engine options, a 192-horsepower 1.5-liter turbo, a 252-horsepower 2.0-liter turbo, and a 212-horsepower 2.0-liter hybrid-drive unit. With the 1.5-liter, the Accord zips to 60 mph in a respectable 7.2 seconds. The 2.0-liter hybrid unit is slightly quicker at 7.1 seconds. The only real competition for the RLX Sport Hybrid is the 2.0-liter turbocharged engine that gets the Accord to 60 mph in just 5.7 seconds. Fuel economy is solidly in the Accord’s “Win” column, especially in the hybrid realm where the RLX Sport Hybrid is tuned for speed and the Accord Hybrid for efficiency. The 2019 Acura RLX has a simple lineup composed of two packages that act as trim levels: W/ Technology Package and W/ Advance Package. Starting prices for these trims range from $54,900 to $61,900. The 2019 Honda Accord has a wide range of trims — LX, Hybrid, EX, Hybrid EX, EX-L, Hybrid EX-L, Touring, and Hybrid Touring — and their prices range from $23,720 to $34,990. 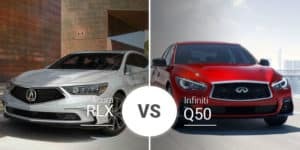 Who Should Buy the 2019 Acura RLX? The Acura RLX is great for a buyer who will accept nothing but a luxury sports sedan with great straight-line speed. That is precisely what the RLX offers. Who Should Buy the 2019 Honda Accord? Looking to save money but still want a great-driving sedan with plenty of upscale options? 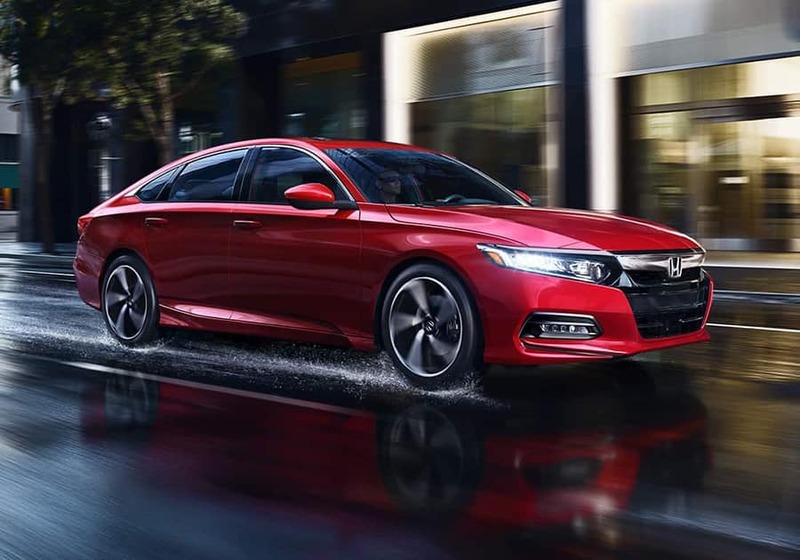 The 2019 Honda Accord offers that and more, especially in its higher trim levels. It is also best for buyers looking to max out fuel efficiency. Head down to Acura of Rochester to test drive the 2019 Acura RLX. This powerful luxury sedan offers the class and comfort our Pittsford and Fairport buyers desire. Can’t make it to our Rochester area showroom for a test drive today? Navigate to our online showroom to see what 2019 RLX models we have in stock in the Rochester area today, then schedule a test drive later. * Prices shown are Acura suggested retail prices only and do not include taxes, license or a $995 destination and handling charge. Acura vehicle accessory costs, labor and installation vary. Dealers set their own prices. Please consult your selected dealer.